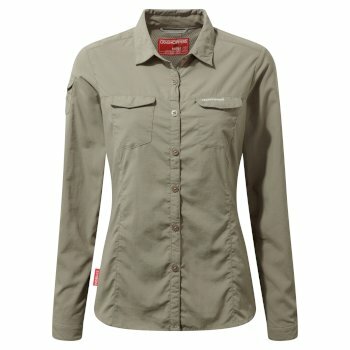 Complete your expedition kit this summer with any of our women’s long sleeve hiking shirts from Craghoppers. 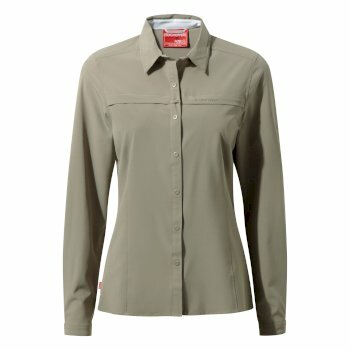 Perfect for every adventure, our stylish and practical women’s long sleeve outdoor shirts offer you protection when it’s needed, as well as unbeatable comfort. 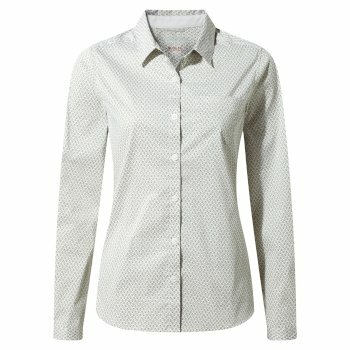 Explore our range of women’s long sleeve shirts to find the ideal fit for you. 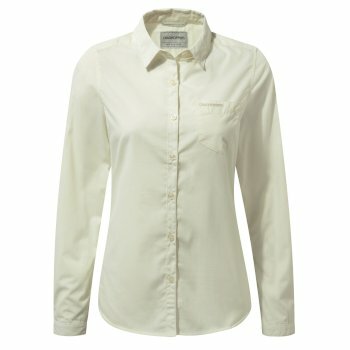 Craghoppers’ selection of women’s long sleeve shirts come in a range of different colours, styles and fits. From casual styled shirts with bright designs to technology filled expedition tops. 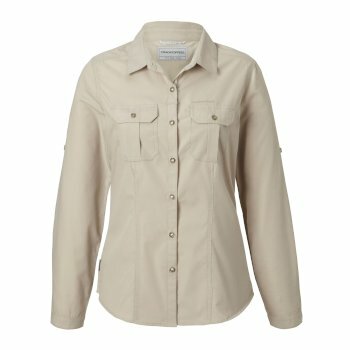 Whatever your next adventure, you’ll be sure to find women’s long sleeve outdoor shirts that are right for you at Craghoppers. 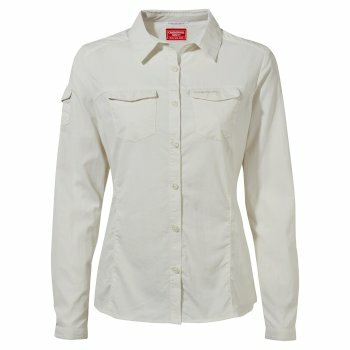 Our women’s outdoor shirts are packed full of fabric technologies to keep you comfortable and protected. Going away for a relaxed summer weekend? 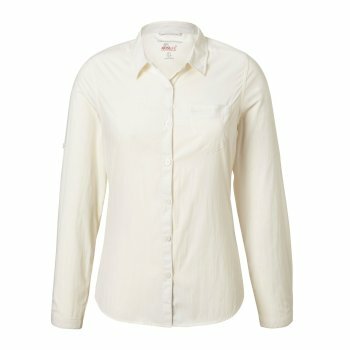 Try the classic Kiwi Pro Lite, a simple yet effective women’s long sleeve moisture wicking shirt, designed to regulate your temperature and keep you cool and comfy throughout your break. Perhaps you plan to take on a hike in a hotter climate? 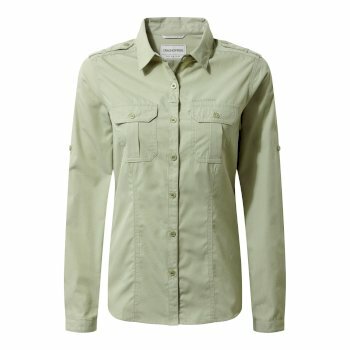 Keep out the critters with a permanent bug-resistant NosiLife long sleeve women’s shirt. 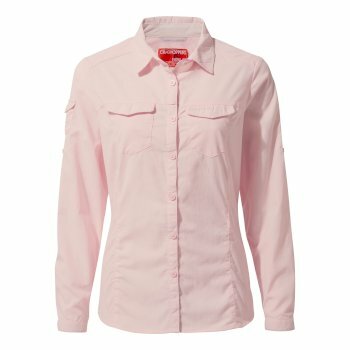 Whatever your needs this summer, Craghoppers’ variety of women’s outdoor shirts boasts a range of different heat regulating technologies, perfect for protection from the sun, and even potentially dangerous bugs. 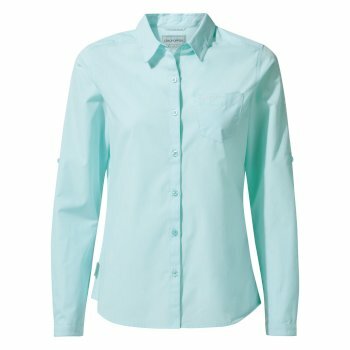 Start your adventure with one of our women’s long sleeve shirts that keep you cool and calm whatever the great outdoors throws your way. 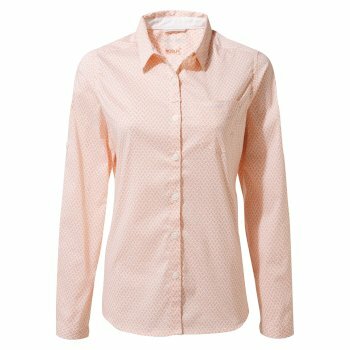 Browse our selection of stylish women’s long sleeve shirts to find the perfect one for you.